HomeBlogWhy Dofollow and Nofollow Matter in Blogging. There are two methods of doing the same. You can begin by finding any external link inside the website that you are searching. You will then need to right click on the link and the inspect element column. The nofollow attribute inside the code will become visible. Alternatively, one can check the website source code too for these links but it might take some time. A range of plugins and extensions for chrome and Firefox are available. You will need to visit the Chrome or Firefox web store and search the keyword ‘nofollow’. Both of these methods will do the job perfectly for you. Choose your method realize which suits the most. Nofollow link matters in blogging in the form that it helps in increasing the traffic. You would be amused to know that most of the traffic gets diverted using the nofollow link. 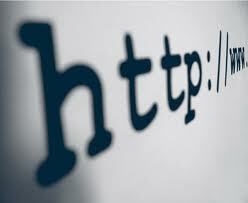 It therefore matters as the type of link diverting to your blog will help increase the overall popularity of the blog. Let us understand this with an example. Suppose one has a website that specializes in web design niche and you might not have build backlinks for the website as you might not be wanting to use spam methods. It might surprise you but you will notice that when Google updates PageRank for the toolbar, you might find your blog to have PR 3. All this can be possible without the regular backlinks. One can think that the blog might be having a range of good content and the same was updated on a regular basis. Though this might be true to a limited range, the fact of the matter is that nofollow links do hold a lot of value for the avid blogger. Understand that posting comments with links in blogs that are low on quality will not do any good to your blogging venture. Another imperative fact to consider is that nofollow links have a lot of value if the links are originating from locations at which these links get moderated and removed if the same do not add value to the bogging endeavor. Ensure that these links are permanent and worthy enough so that readers are able to read and respond to the same, even years after you have posted them. What great thought to realize than posting the links and realizing their worth,years after they have been posted. All blogging platforms use nofollow attributes. This implies that though search engines might be viewing this as a less viable method, yet the same still holds much significance. Remember, it is only a line of code that makes the link nofollow, the search engine bots are not held back from visiting the website. Dofollow links matter when it comes to imperatives as page rank. The same helps helps in increasing the ranking of the site to a great extent. The effect is particularly visible when it comes to page ranking. This eventually has its impact on search engine ranking too and the same gets improved over time. The fact of the matter is that both dofollow and nofollow matter in blogging. While through nofollow links one can drive traffic to the site, dofollow links help one to achieve higher search engine rankings. You must realize that dofollow links hold greater value but those employing the same to realize the benefits tend to overdo things. Consider the fact that the tendency to overdo things and having many links that have same anchor text will not do any good to the popularity of your blog. Recognize the fact that you will have to do quality research before you drop links in any blogging platform. If you adopt a lethargic approach and simply drop the links in any random platform, others might follow suit and your link will lose most if not all of its relevance. Instead, try unique methods of generating reader’s interest, be it in form of guest blogging, writing reviews or adopting other unique measures.